What exactly is psychiatry’s place in the world of mental health? Proponents of mainstream psychiatry – including the majority of psychiatrists and GPs – have for over 50 years persuaded both themselves and the majority of the general public that psychiatry’s place at the pinnacle of the mental health pyramid is entirely justified. But, is psychiatry’s “expert” position in mental health really justified? Actually, if the truth be told, psychiatry occupies a very precarious position, sitting somewhere between neurology and neurosurgery on one side, the medical specialities that treat known brain disorders, and the various so-called “talking therapies” on the other side. Maintaining this position into the future greatly depends upon the general public continuing to be misled regarding psychiatry’s actual position and place in mental health. 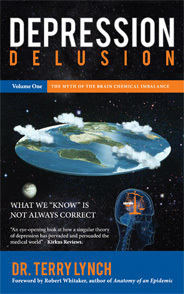 If you would like to understand psychiatry’s actual position, and the great deception of the general public that has been going for decades regarding psychiatry’s position, download a FREE extract from my 2015 book, Depression Delusion: the Myth of the Brain Chemical Imbalance – foreword by Robert Whitaker, described as “truly remarkable” by psychologist Dr. Phil Hickey in his review of this book on the Mad in America website in 2015 – simply by subscribing to my newsletter updates at the end of this blog (from which you can unsubscribe at any time). This entry was posted in Blog, News and tagged brain chemical imbalance, brain disorder, counseling, counselling, critical psychiatry, depression, Depression delusion, Dr. Terry Lynch, mental disorders, mental health, mental health recovery, psychiatry, psychotherapy, suicide on 28th September 2016 by drterry. Just launched! – my online course, “Depression, its true nature: A comprehensive course for mental health practitioners”. I am delighted to announce the launch of my first major online mental health course, “Depression, its true nature: A comprehensive course for mental health practitioners”. This course is directed primarily towards mental health practitioners of all disciplines, including psychologists, psychotherapists, counsellors, psychiatrists, occupational therapists, social workers, psychiatric nurses, social care workers, peer support workers, and those involved in the education of mental health practitioners in all disciplines. As I see it, mental health practitioners of all disciplines have a key role to play in the necessary changes, but they need to be properly informed and empowered. This is a fundamental intention of mine, in creating this course, and future courses regarding other psychiatric diagnoses such as bipolar, schizophrenia, etc. There are 3 sections in this course – 1. The prevailing view; 2. A critique of the prevailing view; and 3. Depression, its true nature. This course can, I believe, contribute in no small way to restoring truth and accurate understanding, and with these, to the enhancement of hope and recovery. Physician, psychotherapist, mental health author. Depression, its true nature: A comprehensive course for mental health practitioners: http://goo.gl/Jj05XZ (click link for information and summary video of course). 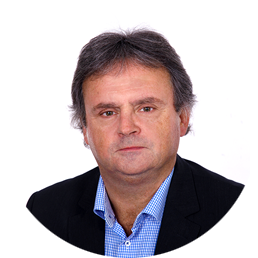 This entry was posted in Blog, Courses, News and tagged counseling, counselling, counsellor, counselor, depression, Dr. Terry Lynch, GP, mental health, occupational therapist, Peer support workers, psychiatrist, psychologist, psychology, social care, social work, social worker on 1st September 2016 by drterry.